In the past week, I flew to New Jersey, drove to New York, prepared for a wedding, went to a wedding, drove back to New Jersey, took a plane back to California with a stop in Chicago, then drove from Orange county to Riverside for a graduation. On Sunday, I was in 4 different states all in one day. It was amazingly busy but totally worth it. The wedding I went to was fantastic. It was my friend Sara’s wedding. You might know her as the Biscotti Queen. She’s the lady who taught me to make biscotti, so clearly it was a wedding I couldn’t miss. 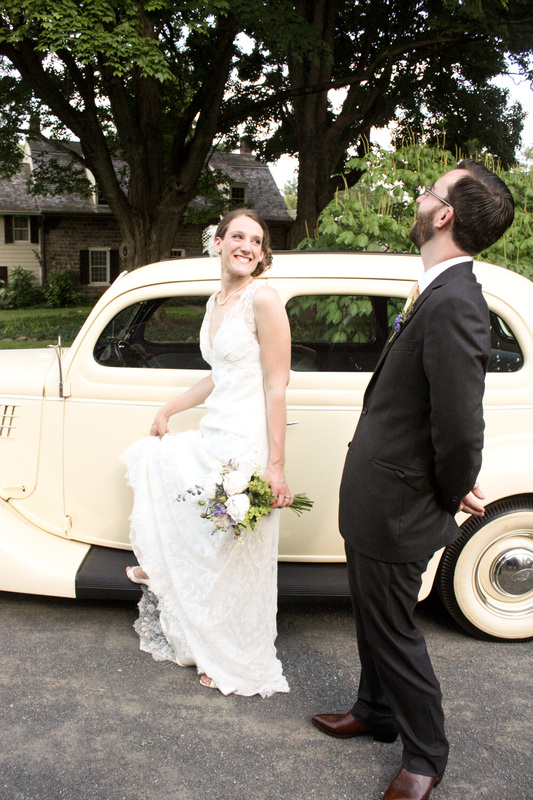 Their wedding was one of the most fun and unique weddings I’ve ever been to. There was no assigned seating (or even enough tables for everyone to sit at), instead you mingled around, stood at cocktail tables, sat around fire pits, in adirondack chairs and generally enjoyed the company of great people. Instead of a sit down dinner, the night was filled with amazing appetizers and desserts. 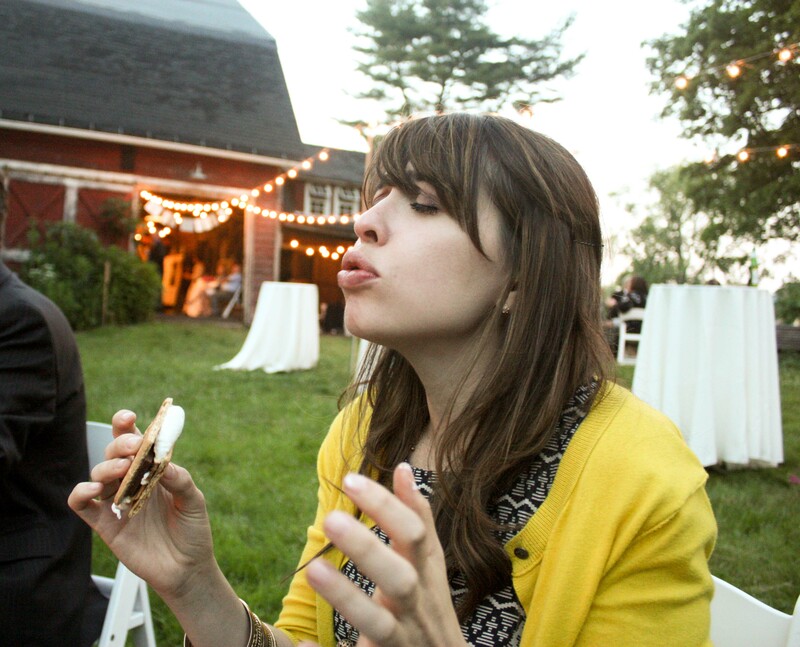 I thoroughly enjoyed the smores. One of the many appetizers served was Eggplant Rollatini, perfect given Sara’s very Italian family. As I was looking through my photos of the wedding mixed with some photos of foods I made before heading to New York, I realized that the day before I left I unknowingly made my own non-Italian version of Eggplant Rollatini. Pre-heat oven to 400F. Slice eggplant lengthwise into thin slices. Lay on a baking sheet, spray with cooking spray or brush with olive oil and sprinkle with salt pepper, and paprika. Bake for 7 minutes, flip then bake for another 7-8 minutes. Remove from oven, turn oven down to 350F. In the meantime, make your sauce. In a blender, blend together tomatoes, red bell pepper, onion, garlic and 3 tbsp fresh herbs. Add salt and pepper if you like (I only added pepper since I used canned tomatoes). Heat 1 tbsp of oil in a large skillet, add sauce. Cook for 10-15 minutes stirring occasionally while you prepare the rest of your eggplant. In a bowl, mix together goat cheese, capers, and 1 tbsp of herbs. 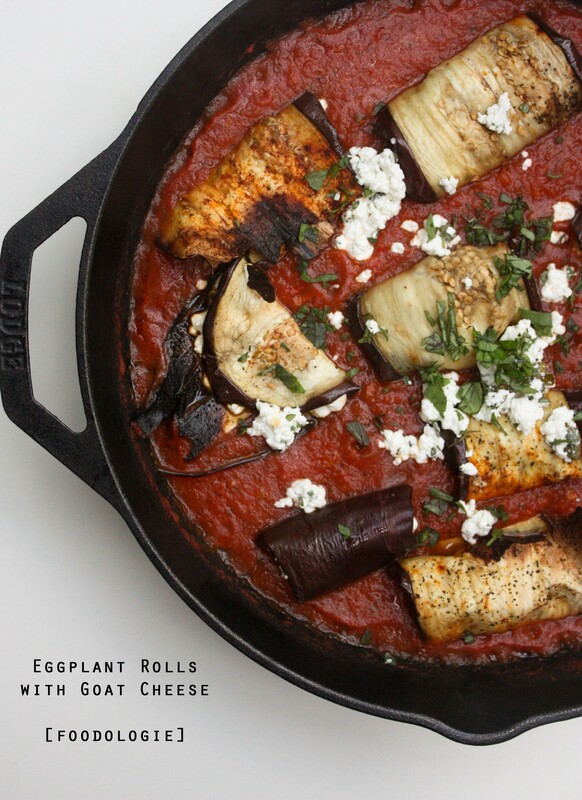 Once your eggplant is cool enough to handle, lay some of the goat cheese filling on the eggplant then roll and place seamside down into the sauce. Repeat until you’ve rolled all your eggplant (you might have some left over filling which I like to sprinkle on top after baking). Bake for another 10-15 minutes, sprinkle with remaining goat cheese/herb filling and serve. One eggplant (depending on the size) should serve 2-3 as a main dish. This eggplant was totally different from the one at the wedding, but in my opinion equally delicious. Let’s be honest, anything with goat cheese is amazing and I love lightening up heavy dishes like this. I should also note it passed the taste taste from Jesse and my co-worker from New Jersey. That totally makes it legit, and now it has an amazing memory of an awesome wedding attached to it. Overall, the travel and craziness of the weekend were totally worth it. I got to visit an amazing friend, see a few others (although I missed a few friends I didn’t get to see), and was so happy to be a part of a wonderful couple’s special day. I have so many other things to tell you about. What do you want to hear about next? An AMAZING salad? More about this wedding? Do you need a dessert in your life? Tell me! 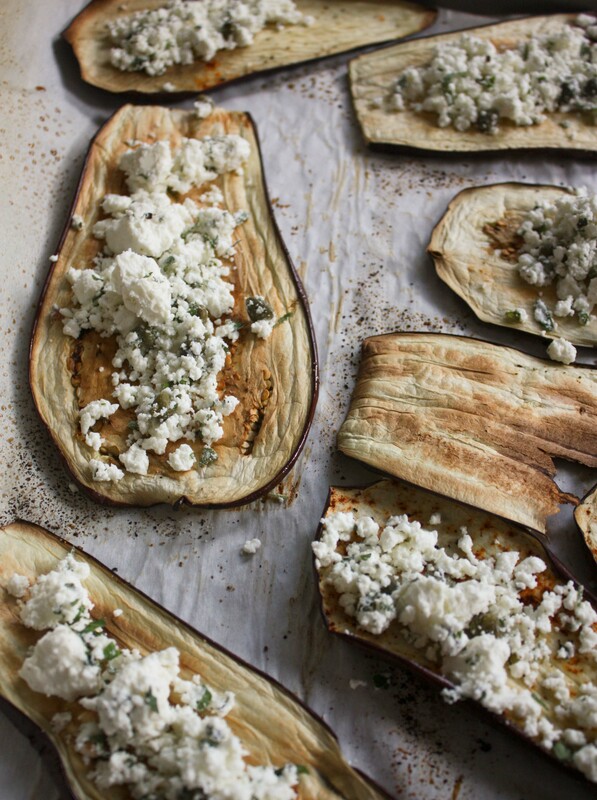 eggplant and goat cheese are like two of my most favorite things ever – definitely making this! Lovely eggplant dish – would enjoy a summer berry or any ooey-gooey dessert for a BBQ with family. Tnx. Surely love you site. Michelle GK. Thanks for reading and commenting! A summer berry dessert is always a good idea! I think I’ve got one up my sleeve for 4th of July! I don’t care what you post next, because I couldn’t possibly love it as much as I love your “rollatini”…or could I? Okay, hurry up! I vote salad! I’m convinced this could convert anyone to an eggplant-lover! 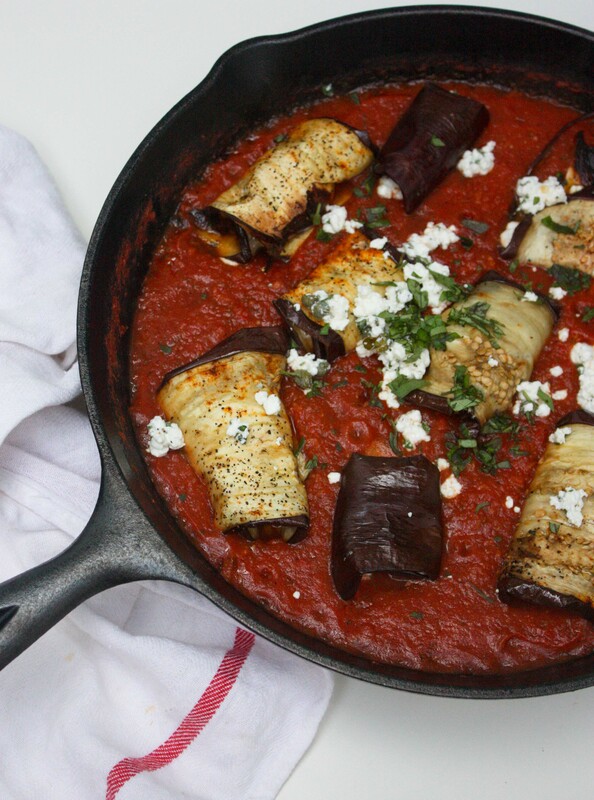 I’m a HUGE eggplant fan…this is definitely a must try! Yum!! Love the idea! In the summer we do something similarly with zucchini and blue cheese. Oooh zucchini and blue cheese! Good combo! I should try that one.